This nutrient is known as the “sunshine vitamin” and experts believe that up to 90% of adults in the United States are deficient in it. This could be a very serious health pattern for society that is not getting enough attention. It’s no wonder why vitamin D is the most recommended of supplements by physicians today. Most adults are believed to be at least a little bit deficient in Vitamin D, so here is some in-depth information on vitamin D deficiency symptoms adults may have to determine if this may be something affecting your health. This major nutrient is important for your general health, but is especially important for your bones, muscles, lungs, brain and immune system. Your body has the ability to manufacture vitamin D on it’s own when sunlight hits your bare skin, but it is also absorbed from some of the foods that you eat. This is why vitamin D is so powerful and valuable. Years ago, doctors had discovered that supplementation with vitamin D had helped prevent rickets in children. They then made the connection between sunlight exposure and healthy bones: vitamin D.
Vitamins are chemicals that are “vital amines” to your body. However, what encompasses the term “vitamin” can be very confusing because they are just classifications for compounds that have been determined by scientists to have a necessary function in the body. All vitamins are very different on the molecular level. Vitamin D is unlike other vitamins because your body makes it in the presence of light. You must get minerals from your food, but even if you don’t eat, you may still get nutrition from the light. I’ve always thought that this was some sort of symbolism linking light to life. You may also get vitamin D from the foods that you eat, but it won’t be enough to satisfy your daily recommended allowance. The amount found in foods are minuscule and, on top of that, your body only absorbs a small amount of it in your digestive system. Vitamin D has so many functions because it is such a versatile molecule. In my opinion, it is the most important vitamin and the one you should be worrying about getting the most. This is because it’s very easy to get adequate nutrition by eating a healthy lifestyle with fruits and vegetables, but getting enough sunlight can be a challenge for many first-worlders. Helping the body absorb calcium to keep bones strong. Reducing the damage done by allergies. This passively prevents feelings of depression and anxiety because serotonin is the neurotransmitter that prevents emotions from reaching extreme highs and lows. It helps you feel calm and in control. Helping the immune system develop healthy white blood cells that can learn how to deal with infections and poisons for the future. Promoting a healthy heart and circulation. Doctors are still trying to fully understand what vitamin D does in your body and how it works. There are a few forms of vitamin D available in supplement form, but the two most common are vitamin D2 and D3. There is some speculation regarding which one is healthier and which is more easily absorbed by the body. This compound, also known as ergocalciferol, is produced by some plants after being exposed to UV radiation. Mushrooms especially take advantage of this feature in nature for their own benefit. To make vitamin D2 supplements, manufacturers will irradiate mushrooms and then harvest the large amount of vitamin D2 they are being forced to produce. This is then used as a cheap way to “fortify” our foods to “increase” nutrient quality in alternative milks, white breads, etc. Also known as cholecalciferol, this molecule is the most biologically available to the bodies of animals and humans. When sunlight reaches our skin, this is the form of vitamin D that is produced in our body. Vitamin D3 is important for many processes in our body, including all of the ones discussed above. It is crucial for it to be present in the body for bones to remain calcified. Vitamin D3 is by far the most beneficial Vitamin D supplement. Bad moods, mood swings, anxiety, depression, etc. These are just general symptoms of deficiency and can include many other symptoms that are unique to your body. It’s important to realize that 90% of the vitamin D that your body absorbs comes directly from sunlight exposure on bare skin. Regular indoor light does not produce vitamin D on your skin because it doesn’t have ultraviolet B rays. The main reason why so many people are deficient in vitamin D is simply because we don’t go outside enough when the sun is out. Many children especially are spending their days inside; watching television, video games, watching youtube videos, etc. On the same note, adults mostly work indoors, exercise in gyms and relax inside their homes when they are done. We simply do not even think about making sunlight exposure a priority each day because we are very busy. Many health advisers this past decade have been exaggerating the importance of SPF on your skin, especially your face. Since the incidences of skin cancer has been rising over the recent years, this may be the reason why. However, doctors don’t fully understand how sunlight and UV rays promote cancer. This is a great D3 supplement that I recommend. It is very cheap at under $8 and lasts for a long time. Click the image for a discount! There is nothing to confirm or deny that mineral oil and UV radiation can cause DNA damage, but this is something that I think is likely. Time and research will tell and I will revisit the topic. I am simply suggesting that plain sunlight on skin will not cause cancer in nature. The thing that I and doctors can’t repeat enough is that sunlight is going to be the best and most natural source of Vitamin D for your body. However, there are many great supplements that can provide your body with a natural source of vitamin D.
I make sure to include foods that are high in vitamin D in my daily meals and my most important supplement is vitamin D3. I take a little extra on cloudy days or when I don’t get a chance to get any sun. 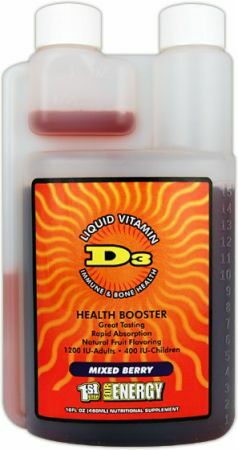 My favorite natural brand for vitamin D3 is HPF Vitamin D3 Liquid for High Performance. I have never actually tried a vitamin D3 supplement and felt results until I tried this one. This product is highly recommended and also available in smaller sizes if you are on a budget or just want to try it. I am always here for you, so if you have something to add about the vitamin D deficiency symptoms adults may have, please leave me a comment! You might be deficient if you don’t go outside and get sunlight! I hope you are because it is very important. I think that humans have evolved with the sun–to be energized by it. Thanks for coming! I always knew Vitamin D was an important part of daily nutrient, vitamin intake. But I never knew it was as vital as explained in your post. Along with all the side effects from not having enough Vitamin D, very interesting and good job making it very understandable. Fortunately after reading, I can honestly say. 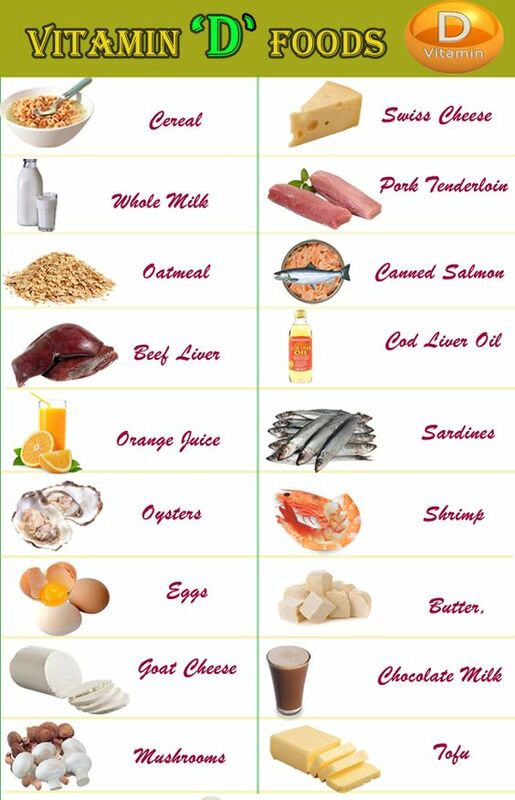 I do not lack in the Vitamin D area, most of those food me and my family eat on at least a weekly or bi weekly basis. Vitamin D is one of my top health concerns because it is so easy to be deficient. I don’t think it is natural for humans to be inside all of the time. Thanks a lot for coming! For people living in parts of the world where sunshine isn’t so abundant, this is a great article to read and become familiar with how to compensate for a lack of sufficient sunlight and daylight hours. The food chart helped a lot, thanks! It must be very rough living in areas up north where the sun isn’t very strong. These residents must make sure that they supplement as best they can with vitamin D. Thanks for the input! Like the diagram with the symptoms of lack of VD. I try to get my dose of sun. I live in the tropics so try it daily. The list of foods are also very helpful..love mushrooms!! Honestly I didn’t know that a lack of it could be so harmful though. I always took it for granted. A lack of vitamin D can be very detrimental to your health, especially your immune and brain health. If you don’t see the sun for a few days, you will notice a change in your mood and allergic symptoms. Vitamin D from sunshine is vital for health and should be taught to our children in schools rather than “drink milk every day.” Thanks for the input! The elderly population, particularly people in nursing homes, are especially susceptible to a Vitamin D deficiency as they usually spend more time indoors. You would be surprised how a sunbeam streaming in through a window will draw a large audience. It reminds me of my bulldog constantly searching out that glorious ray of sunshine to warm up and fall asleep in. Instincts are a wonderful thing! That is actually a great point that I had missed because the elderly population is the most susceptible to vitamin D deficiency right now. They spend too much time indoors and like to insist on protecting themselves from the sun. I don’t see a reason for this if you’re only going outside for a few minutes a day. Incidences of depression and mental decline likely have much to do with a lack of vitamin D in the elderly lifestyle. Thanks for the input! Wow what? And all of this time I thought that if I drank a glass of milk, I was doing what I needed to do in order to get enough vitamin D. I had no idea that there were so many other foods that were capable of adding vitamin D to your body! I would have never known that there was such a thing as a “Vitamin D deficiency” and would not have related any of these symptoms to having such a thing. This was really great information and I am so glad you shared and that I got the chance to read it. Thanks for sharing you knowledge! Milk producers love to take advantage of vitamin D deficiency because dairy is one of the only sources of it. However, this is only a marketing scheme that was extremely successful. It turned out to be a lie because the amount of vitamin D you actually absorb from milk is so minuscule that it wouldn’t really benefit you in any way. If you are supplementing vitamin D and calcium with milk, you are definitely doing it wrong. Dairy is full of calories and possible intolerable proteins that takes away from the benefits of eating fresh food in its place in your diet. Thanks for the input!